Cash Money Records co-founder Bryan "Birdman" Williams has been known to call the city of New Orleans home, but the hip-hop mogul recently shared a surprising Canadian connection from his upbringing. 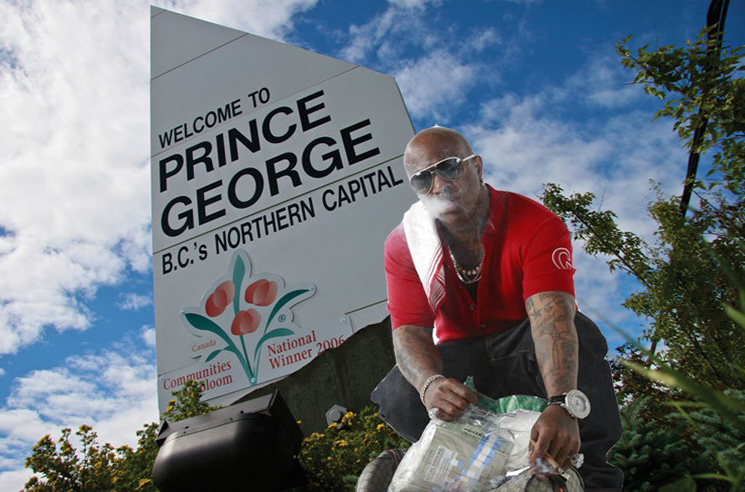 In an interview with Angie Martinez of New York's Power 105.1 FM, Birdman revealed that he spent two or three years living in Prince George, British Columbia. Birdman moved there in the mid-'70s with family members after his parents passed away. "My momma passed, my uncle came down, and she decided to just take us, drive us to Canada," he said. "So we stayed in Canada for like two, three years?" In an Instagram post, Birdman said that "Tha life was a real experience livin in Prince George I will always honor and respect." Anyone who saw Birdman's recent on-air meltdown will know just how much respect means to him. The connection was revealed after the rapper was asked about a forthcoming Cash Money Records biopic. It's unclear as to whether his Canadian upbringing will be a part of the film. View Birdman's Instagram post and interview with Martinez below. Thanks to the CBC for the tip.